NEWLY RENOVATED...This is the perfect place for whatever your needs are, Beautiful Country Weddings, Family Reunions, Birthday Parties, or if you just want too have a jamming party with your friends. Welcome to Sunset Stables! 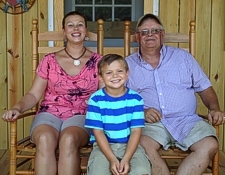 Owned and operated by Tim and Amy Roberson of Robersonville, North Carolina. 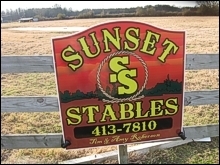 We offer camping, trail riding, horse boarding, and party or banquet facilities.